Fuentes Photographs: Sonia with family in Berlin, Germany, circa 1930. 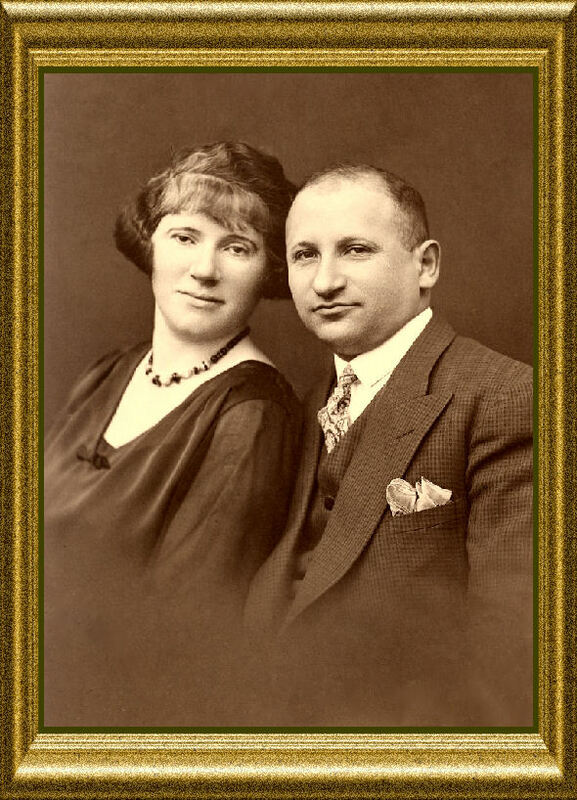 Both Zysia and Hinda Leah (nee Dombek) Pressman were from Pilica (called Piltz by its Jewish residents), Poland. They married in Piltz in 1913 and moved to Germany right after their wedding. There they remained until 1933 when they left with their children for Antwerp, Belgium. During the next year, they emigrated to the United States, arriving there on May 1, 1934. 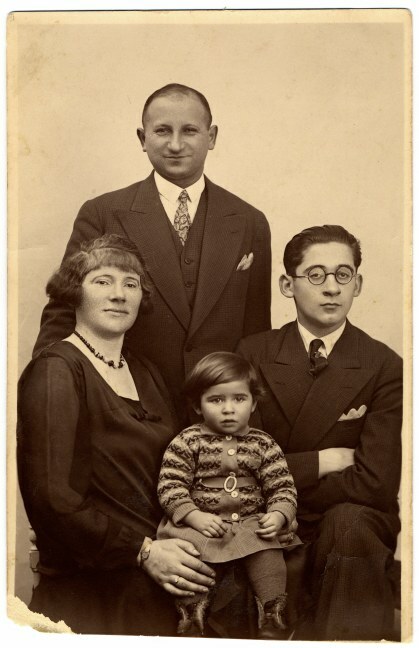 Sonia with her parents and brother, Hermann, in Berlin, Germany, circa 1930.